The Second Life of Doctor Mirage Issue #1 Acclaim / Valiant 1993 Unread!! 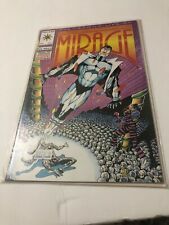 Mirage "The Second Life of Doctor Mirage" #1 1993 VARIANT UNREAD!!!!! 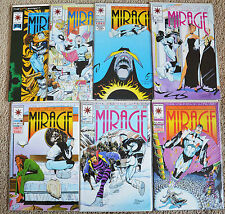 The Second Life of Doctor Mirage Issue #1 & #7 Acclaim / Valiant 1993 Unread!! The Second Life of Doctor Mirage #1 - November 1993 - Valiant Comics. THE SECOND LIFE OF DOCTOR MIRAGE #1 MT WITH BAG AND BACKBOARD. THE SECOND LIFE OF DOCTOR MIRAGE #1 [1993 VF-NM] GOLD EDITION! Second Life of Doctor Mirage #1, NM- (9.2) 1993 50% off Guide! The Second Life of Doctor Mirage (1993) Issues #1 to 5 - High Grade!